This entry was posted in Windows 10 on 2019年4月2日 by 木澤 朋和. 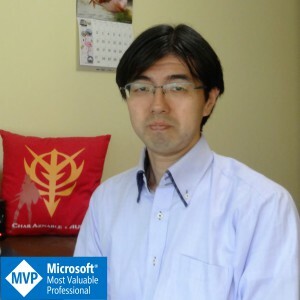 This entry was posted in Windows, Windows 10 on 2019年2月12日 by 木澤 朋和. This entry was posted in Windows 10 on 2019年1月30日 by 木澤 朋和. This entry was posted in October 2018 Update, Windows 10 on 2018年11月14日 by 木澤 朋和. This entry was posted in Surface Pro, Windows 10 on 2018年5月8日 by 木澤 朋和. This entry was posted in Windows 10 on 2018年3月4日 by 木澤 朋和. This entry was posted in Windows 10 on 2017年12月6日 by 木澤 朋和. This entry was posted in Windows 10 on 2017年11月19日 by 木澤 朋和. This entry was posted in Fall Creators Update, Windows 10 on 2017年10月18日 by 木澤 朋和. This entry was posted in Windows 10 on 2017年10月18日 by 木澤 朋和. This entry was posted in Windows 10, WIndows MR on 2017年10月18日 by 木澤 朋和.